Want to know what to do with that bumper crop of tomatoes or summer squash? Ask a master food preserver! Pickling, dehydrating, freezing, canning, curing and fermenting can be safe and easy. Get the most from your harvest or farmers market purchases. Cooperative Extension is pleased to announce the LA County master food preservers will be conducting demonstrations and answering home food preservation questions at the LA County Fair (Sept. 3 to Oct. 2). There will also be a special kids program, explaining how food is preserved and helping them identify typical preserved foods in their pantry, such as raisins and ice cream. Demonstrations will be held throughout the day on Thursdays to Sundays at the fairgrounds Farmhouse Kitchen. Due to health department regulations, samples will not be distributed. 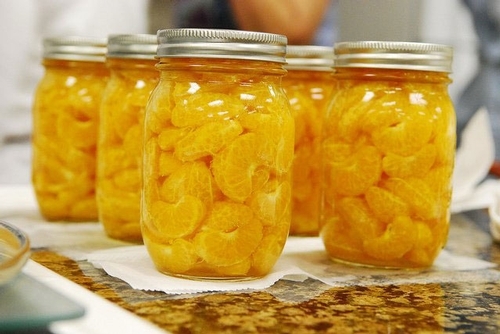 The LA County Master Food Preserver Program is designed for individuals who have a strong interest in home food preservation and would like to pass this knowledge onto the public. County residents who would like to become master food preservers attend an extensive USDA-approved training program. Once trained, master food preservers perform volunteer work and participate in continuing education each year. Graduates of the program have a strong commitment to reach limited-resource communities. The activities include answering e-mail inquiries, providing farmers market and community garden demonstrations, and participating in the annual LA County Fair. For more information on the program, please contact Brenda Roche, nutrition advisor, at (323) 260-3299, bkroche@ucdavis.edu or visit http://celosangeles.ucdavis.edu/Master_Food_Preserver_Program/. To combat the rising trend of childhood obesity in Los Angeles County schools, fourth and fifth grade students and their parents are participating in the "Kid Healthy--Steps to Healthy Living" campaign. Illnesses like type 2 diabetes, heart disease, stroke and other medical complications are linked to obesity; and controlling weight problems early in life--when they can be better managed--is critical to better health later on. From March 1 to April 30, students and their parents will learn more about nutrition and exercise. Students will get a free pedometer, courtesy of Kaiser Permanente, to track their walking and running. Logging what they eat during the four-week campaign will help students understand the relationship between exercise, eating and weight management. Fourth and fifth graders are targeted because research shows this is when many children begin taking an active role and interest in their health as they move into their teen years. It's an ideal time to reach them and reinforce the important messages of healthy eating and exercise. 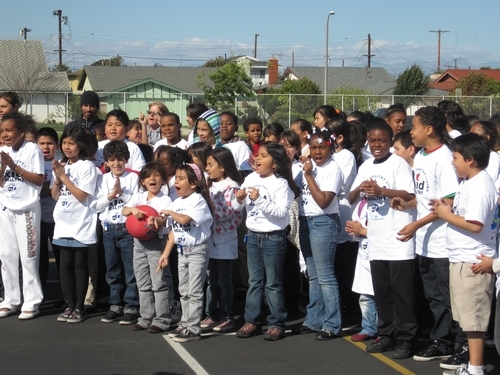 The Kid Healthy campaign was founded by ABC7 in 2003 and is a partnership with the Network for a Healthy California--Children's Power Play! Campaign as well as schools, teachers and parents. UC Cooperative Extension manages the Power Play! Campaign in Los Angeles County.